Walk, nibble, sip, repeat. The 24th annual Las Olas Wine and Food Festival will take place Friday, April 5, in downtown Fort Lauderdale. More than 50 South Florida restaurants and over 40 wineries, breweries and distilleries are slated to take part. Organizers bill the event as “five blocks of sips and samples” along Fort Lauderdale’s main dining and shopping corridor. The festival will run from 7:30 to 10:30 p.m. on East Las Olas Boulevard, from Southeast Sixth Avenue to Southeast 11th Avenue. Tickets cost $150 and are available at LasOlasWFF.com. 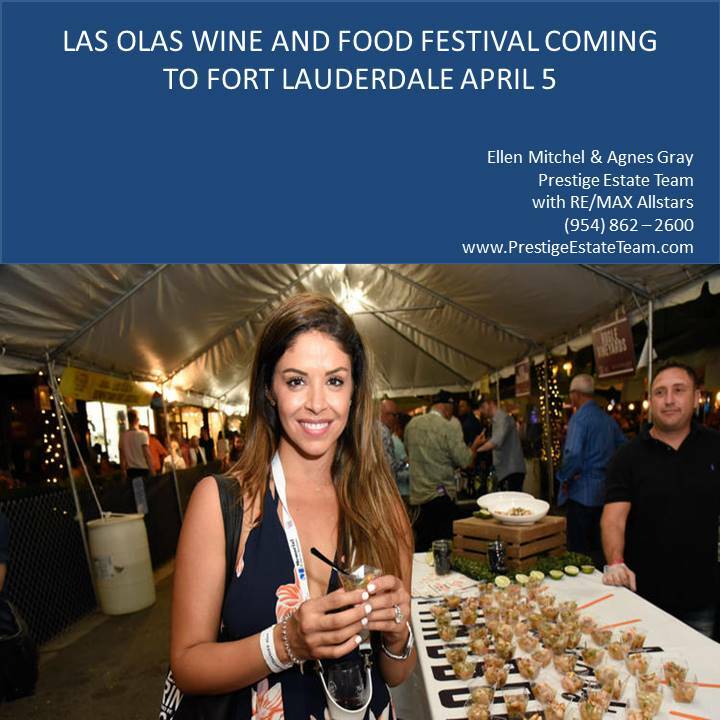 The 23rd annual Las Olas Wine and Food Festival on Friday, April 20, featured “five blocks of sips and samples” in downtown Fort Lauderdale, with more than 50 South Florida restaurants and dozens of national wineries participating. The event benefited the American Lung Association. The event is restricted to those 21 and older and will take place rain or shine. Presenters say this year’s theme is “Everyone’s a VIP,” with all lounges and giveaways open to all guests (and no early VIP hour before the main event). Among the restaurants scheduled to participate: American Social, Big City Tavern, Boathouse at the Riverside, Burlock Coast, Casa Sensei, Colada Cuban Coffee House, Council Oak, Etaru, Flight 19, Gran Forno, Green Bar & Kitchen, Himmarshee Public House, Indigo, Java & Jam, JWB Prime Steak & Seafood, Kuro, Louie Bossi’s Ristorante, Mastro’s Ocean Club, Naked Crab at B Resort, One Door East, Papa’s Raw Bar, Piazza Italia, Ruth’s Chris, Rhythm & Vine, Scolapasta Bistro, Shooters Waterfront, Suviche, Timpano Italian Chophouse, Township, Tuscan Prime, Vale Food Co., Wild Sea Oyster Bar and Yolo. Breakthru Beverages, a presenting sponsor, will feature brands such as J Vineyards, New Amsterdam Vodka, William Hill Winery and Woodford Reserve. Wristbands will be available for pickup an hour before the event near two entry points, at Southeast Sixth Avenue (by Cheesecake Factory) and Southeast 10th Terrace. With parking limited and drinks flowing, guests are encouraged to take Uber, Lyft or taxis. Large bags, weapons and pets are prohibited (except for certified service animals in vests), and purses are subject to search at the entrance. For tickets and more information, call 954-727-0907 or go to LasOlasWFF.com. Studies show that the longer a property stays on the market, the less the seller will net upon the sale. 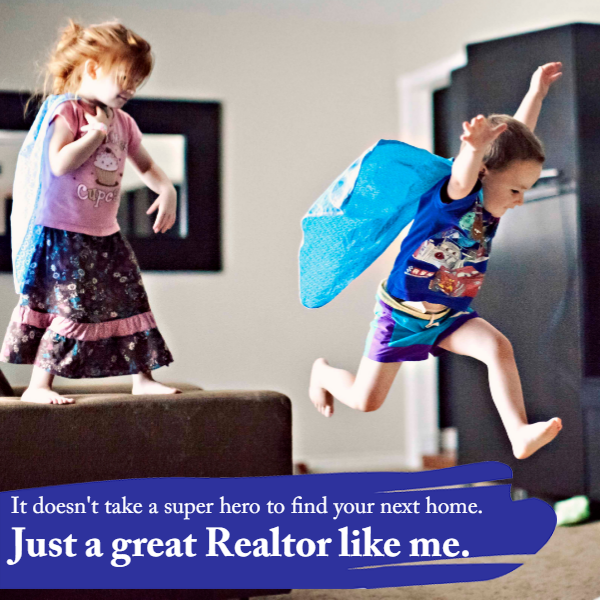 Check out about pricing your home to sell.